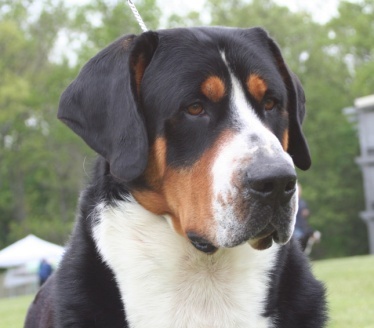 Carl is a gorgeous, big Swissy, with massive bone and with excellent breed type. 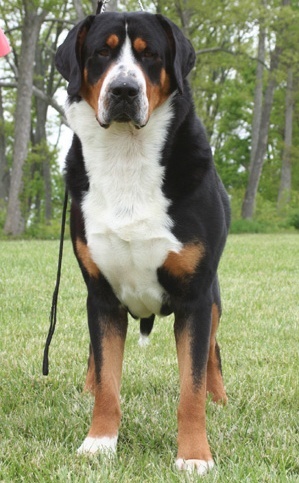 He is a strong boy built for draft work, reaching to the top of the Swissy standard in both height and weight. 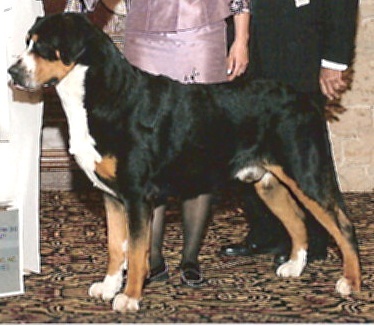 Although he is a big dog, he has great movement and style for the show ring, winning many Group Placements and "Best of Breed" at the prestigious Westminster Dog Show in 2009, over stiff competition. He has a fabulous sweet temperament and continues to pass that down to his children. We are very excited about using Carl with our girl Jayda. * 11/27/2005 Springfield Kennel Club, West Springfield MA-Winners Dog 4pt Major out of the Puppy class. 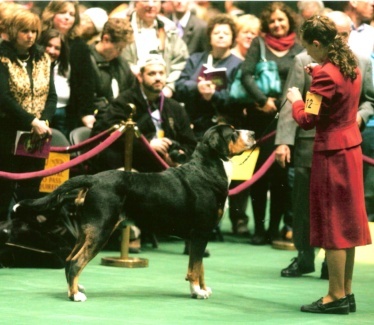 * 04/16/2006 Rhode Island Kennel Club, Warwick RI-Best of Winners, 3pt Major from the Puppy class. 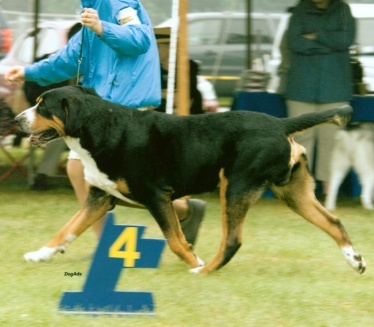 * 07/05/2006 Naugatuck Valley Kennel Club, West Springfireld MA-Best of Winners 4 pt Major. * 10/14/2006 Penobscot Valley Kennel Club, Bangor ME- Working Group II. * 10/15/2006 Penobscot Valley Kennel Club, Bangor ME- Working Group III. * 07/01/2007 Wampanoag Kennel Club, Wrentham MA- Working Group IV. * 01/13/2008 Merrimack Valley Kennel Club, Fitchburg MA- Working Group III. * 02/09/2009 Westminster Kennel Club, Madison Square Garden NYC- Best of Breed.